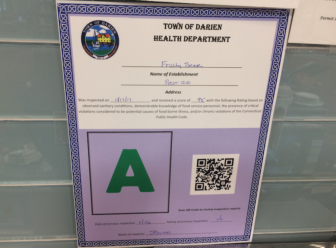 The vendor operating the cafe at Darien YMCA, received a “C” rating, the worst in the town A-B-C ratings system, in the most recently released town Health Department inspection reports. The sole reason: The open “grab-and-go” cooler case was broken and found to be at 54 degrees. 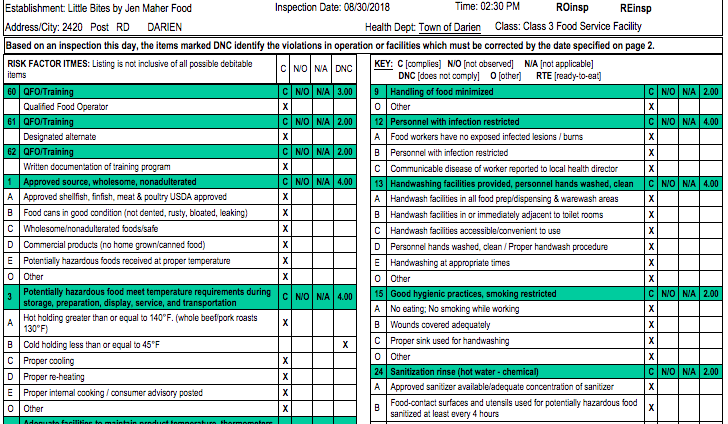 It didn’t matter that the cafe’s state score was high — 94 — because the nonworking cooler is considered a serious violation under the state health code. As a result of the Aug. 30 inspection, the cafe was told to immediately stop using the machine and not to use it again until fixed. 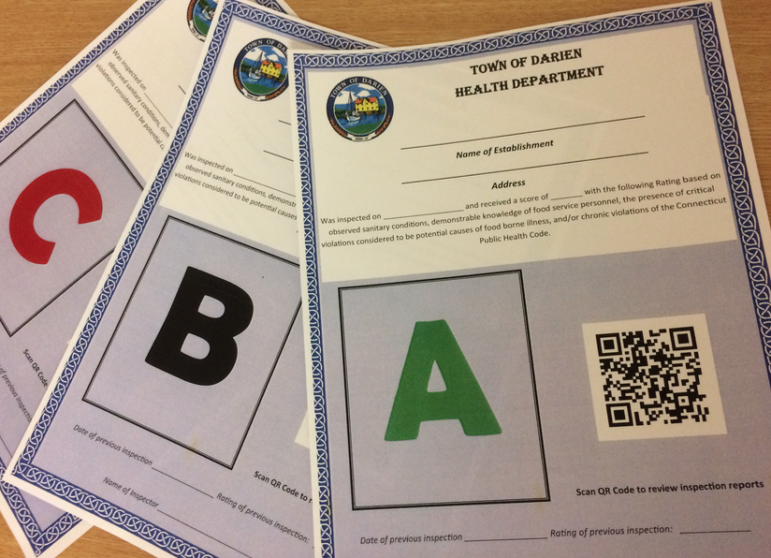 Six other health inspection reports were released on Thursday by the department. Three of them received “A” ratings; three others each got a “B.” The inspections took place from Aug. 30 to Sept. 5. Inspector’s comments and remarks part of the inspection of Little Bites by Jen Maher Cafe. Improper temperatures in cold-holding food cases is a four-point violation in the state health code. This part of the inspection report shows the other four-point violations (Sections 1, 3, 12 and 13).